The actor Nakayama Yoshio I held the name of Nakayama Ittoku I from the 1780s to the 7th lunar month of 1804. The actor Nakayama Nanshi II held the name of Nakayama Ittoku II from 1815 to the 12th lunar month of 1837. Date of birth unknown. Son of Nakayama Yoshio I, he started his career in Ôsaka in the 11th lunar month of 1809, performing as a koyaku under the name of Nakayama Yoshinosuke. He took the name of Nakayama Yoshio II in the 2nd lunar month of 1818, after the death of his father. 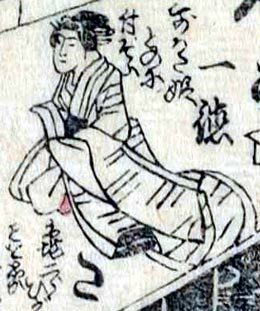 The actors Nakayama Nanshi II and Nakayama Yoshio II respectively took the names of Nakayama Yoshio III and Nakayama Ittoku III in the 1st lunar month of 1838 in Ôsaka at the Kado no Shibai, playing together in the new year drama "Keisei Sato no Funauta". Nakayama Ittoku III was just like his father an onnagata actor, but never achieved significant fame as his father did. 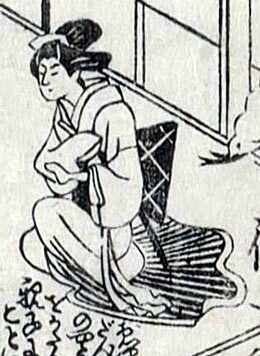 He spent most of his career from the end of the 1830s in Kamigata koshibai. He most likely died in 1862. The actor Kawarasaki Kunitarô III held the name of Nakayama Ittoku IV from the beginning of the Meiji era to August 1878.